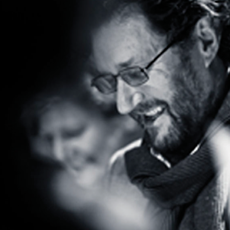 Ben is the Director of the Theatre Royal Waterford and a former Artistic Director of Opera Theatre Company, the Gaiety Theatre and the Abbey Theatre, Ireland’s national theatre (2000-2005). He was member and chair of the Council for the National Cultural Institutions (CNCI) and is an honorary Ambassador of the City of Waterford. He has published on the subject of theatre and is the author of Plays and Controversies detailing his artistic directorship of the Abbey 2000-2005. His productions have been seen in all the major cities of the world and he has been the recipient of many awards for his theatre work including the Irish Times Theatre Awards and MECCA and Masque awards in Canada. Recent productions include Juno and the Paycock and Waiting for Godot, both in the US, Monteverdi’s Orfeo and La Boheme for Opera Theatre Company and La Finta Giardiniera for RIAM. His productions of My Real Life by Eoin Colfer with Don Wycherley and Beckett’s Footfalls and Krapp’s Last Tape will tour in Ireland in 2018. He is delighted to be associated with the Eugene O’ Neill Festival and to continue the involvement with O’ Neill’s work following his well regarded Irish/US co production of A Moon for the Misbegotten in 2016.